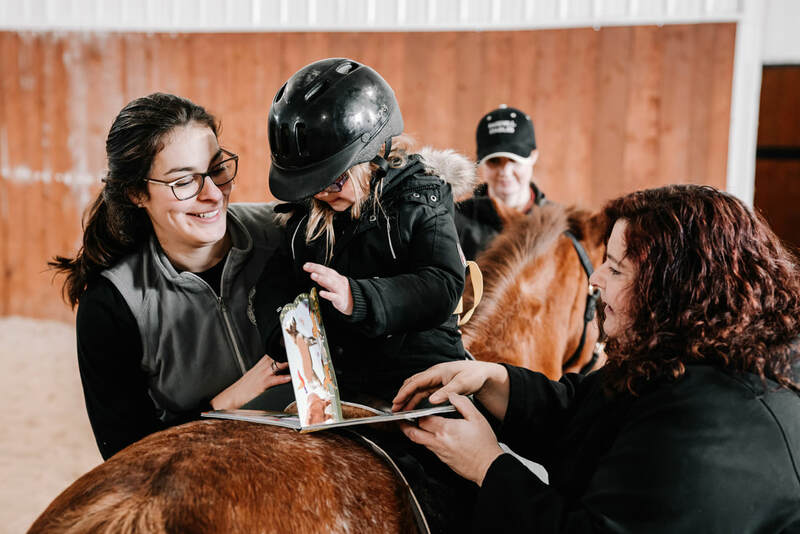 By working one-on-one with kiddos, both on horseback and in our child-focused clinic, Stable Connections occupational therapists and speech & language therapists help kiddos develop the skills for independence and quality of life. You do this on a horse? 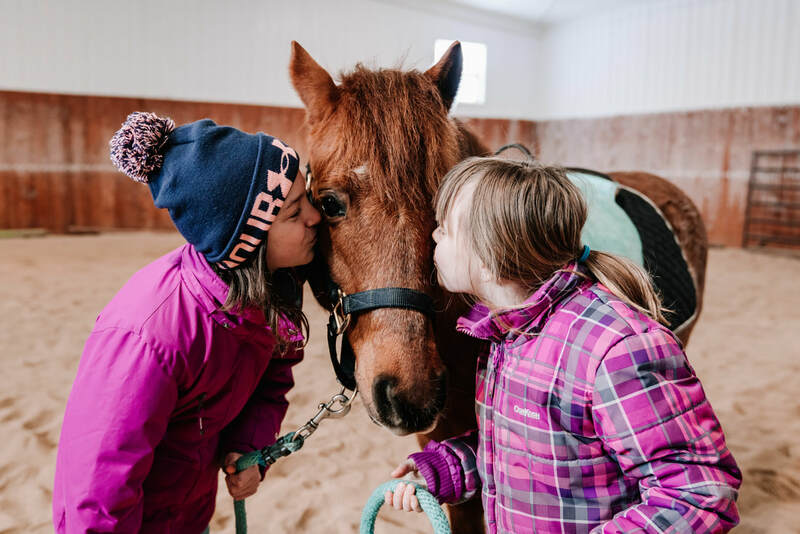 Hippotherapy is used as a treatment tool for clients of all ages who are differently abled–neurologically, behaviorally, and/or cognitively. It is combined with conventional therapy treatments to elicit a response in our clients. The responses vary from elongating a tight muscle, to stimulating and facilitating muscle tone with hypotonia, to eliciting a desired outcome such as a client audibly saying “walk on”. The gait we typically use for most therapeutic sessions is the walk. The horse’s movement is organizing to a client’s central nervous system (CNS) through it’s repetitive and rhythmic nature. The horse's pelvis at a walk is remarkably similar to a human's and provides the opportunity for a client to learn how all parts of his/her body work together to sit, stand, walk, throw a ball, or make speech sounds. An average horse takes 120 steps per minute, creating 120 opportunities each minute for a client to improve neurological function and sensory processing. This highly organized movement is not possible to replicate in a clinic or by any other apparatus or equipment. Laying the neurological foundation for a normal gait pattern by sitting facing forward on the horse. Strengthening motor-planning, timing, sequencing, and bilateral skills by passing rings back and forth with a therapist. Strengthening extremities and refining balance reactions by kneeling or standing on the horse. In all of this, the horse is acting as a dynamic (moving) surface on which the child is being challenged by constantly receiving carefully-graded input. 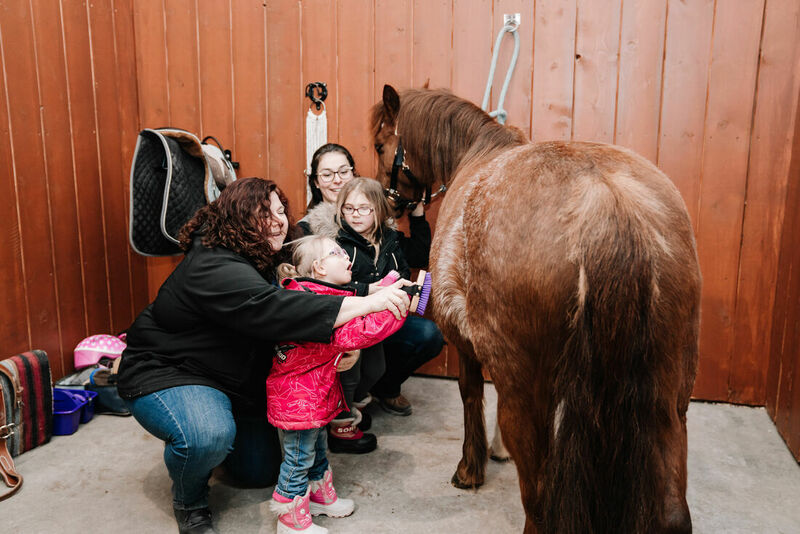 All of our therapists are licensed to practice in Manitoba and receive additional training to work within the guidelines and best practices of the American Hippotherapy Association to safely and effectively incorporate the movement of the horses in a clinical setting. Services offered in French and/or English.